Inbound marketing is the new standard for successful marketing. Gone are the old techniques of mass blasting large numbers of people, hoping a high enough percentage will follow your ad back to your product. 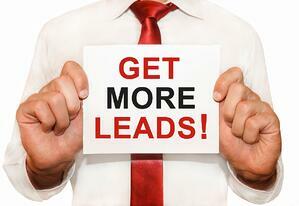 But one element still remains the same: you need to generate leads. Where are successful companies looking for leads these days? How are sales reps turning interested consumers into satisfied purchasers? Here are seven tips to help your company fuel its lead generation efforts. During testing of your product, you found a small group of dedicated users. Now that your product is ready to launch, leverage what you learned from them. Pay close attention to the positive language these early adopters used to describe your product. Use the same language in your marketing. This way, you’re already plugged into how interested users talk about your product. Broad scopes are no longer successful. Focused, specific targeting is the solution to getting good leads. If you can’t define, in extreme detail, who your buyer personas are, you’ll have no idea who you’re trying to market to—and neither will your audience. People want to know that you are the person to engage with to solve a particular problem. This will take a lot of time, but if done well, leads will be throwing themselves at your company. Craft regular, helpful articles and post them to your blog; create podcasts on topics related to your product; have in-depth discussions with other experts. Your goal is to show people you know what you’re talking about, so when you recommend your product to solve a problem, there’s already goodwill built and a belief in you as an expert. Part of building your online presence means getting your name out there in preexisting networks. Find blogs that are related to your product or service and share your insights, knowledge, and solutions. Interested people will follow you back to your content channels, and in time, they will search you out for related answers. It’s not enough to just “create content.” To make your online presence grow you must create quality content—information that is helpful, engaging, and creative—and provide it in a timely way, just as people are looking for solutions. Focus on the ways your product or service stands out from others—what can clients only get from you and not your competitors? Why should they choose you? Do some research and find where red mini-van drivers are located. You may think it’s Southern Ontario, but perhaps Nova Scotia is where your preferred audience is. Your audience already has places it likes to go for information; leverage those spaces, become a part of that community, and your leads will grow. Twitter is a great channel for finding communities interested in what you’re selling—communities that are already active and engaged. Find where they are by researching hashtags and learn how they talk about products like yours. Start engaging in the conversation, and when appropriate, drop in some of that valuable content you’ve created. 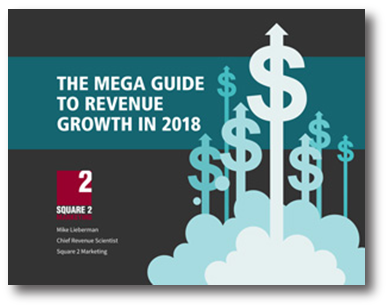 There’s no one-size-fits-all strategy for successful lead generation. Explore some of these expert tips to improve your lead generation efforts.